For the most part, people focus on humans as the most dominant species on the planet; however, when looking at the success rate of colonies of ants, this concept is definitely questionable. Not only do ants outnumber humans greatly, but like us, they also have several adaptations in place allowing them to form complex societies and dominate the landscape in most areas of the world. Next time you’re chewing, contemplate that some species of ants located in South America have been measured with jaw speeds of up to 145 mph. The bite is thought to have evolved as an adaptation (or exaptation) to predation, although the jaws were originally used for food processing. Ants lack a large size, so they must make up for this with some exceptionally strong body parts. The jaws can decapitate enemy ants and shut so fast that biting causes the ant to fling backwards – often up to 9 inches away. Not uncommon to the world of insects, many species live and communicate predominately based on pheromones. Of the thousands of species of ants in the world, each colony lives off of pheromones; not only this, but ants are so sensitive to different pheromones, that each colony within each species has its own distinct set of pheromones. This adaptation mainly focuses on navigation. Ants forage long distances and the only way to prevent from getting lost is to be able to follow a scent left behind. This scent also leads other ants to the food source. Organized behavior is key to any successful colony. 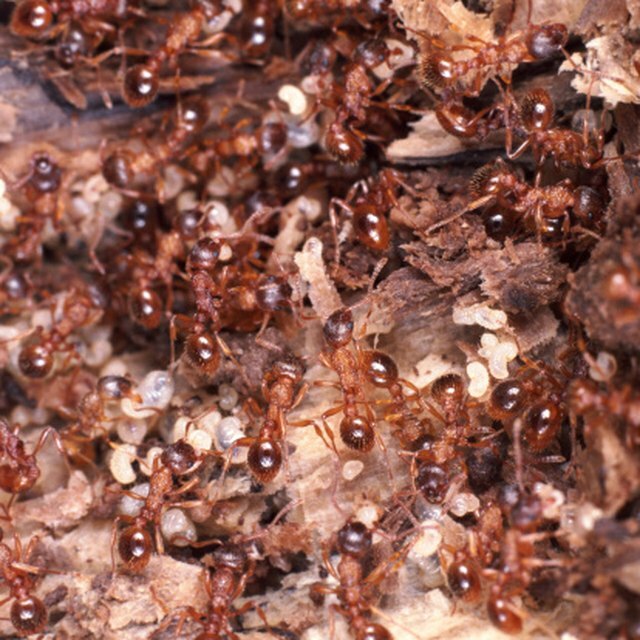 Although different species of ants have slight variations on colony behavior, most share a few characteristics. They each include a group of queens (some colonies only have one), worker ants, as well as drones. Ants known as soldier ants tend to be protectors, often protecting their smaller counterparts. The larger and older ants tend to be the ones at the forefront of food searching, while the younger and smaller ones tend to nest within the colony closer to the queen. Some species of ants also perform a very unusual adaptation, resulting in kidnapping. When ants are still in larval stages, they have yet to undergo pheromone imprinting. When they reach a point where they have matured, they will come out of the larval stage and “imprint” the scent of the colony. Some colonies of ants have adapted to kidnap larvae from other species, allowing them to imprint the new colony's scent, immediately causing the new members join them, never being any wiser as to the situation. Johnson, Steve. "Ant Adaptation." Sciencing, https://sciencing.com/ant-adaptation-8765248.html. 10 March 2018. What Kind of Ants Have Wings?